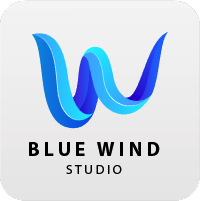 BLUE WIND SERVICE CO., LTD (hereinafter referred to as “Blue Wind”) recognizes that protection of personal information is one of the most important responsibilities of an internet content service corporation. Blue Wind have established the following guidelines for handling personal information and specific personal information (personally identifiable information, including individual number; used with this definition hereinafter), and will follow these guidelines strictly to protect personal information in secure and appropriate ways. When collecting personal information and specific personal information, Blue Wind will specify in advance the purpose of use and utilize appropriate and fair methods for collection. With the exception of cases where laws and regulations necessitate it, the personal information that is collected will not be used outside the intended purpose. Furthermore, Blue Wind takes appropriate measures to prevent uses other than the intended purpose. The specific personal information that is collected will only be used for purposes specified in laws and regulations. With the exception of cases where laws and regulations necessitate it, the personal information that is collected by Blue Wind will not be provided to third parties (including third parties in foreign countries) without consent from the individual to which said personal information belongs. Furthermore, with the exception of cases where laws and regulations necessitate it, the specific personal information that is collected will not be provided to third parties. Blue Wind implements the necessary and appropriate measures to prevent the unauthorized access, loss, damage, falsification, leakage, etc. of personal information and specific personal information. Subcontractors given access to the personal information collected by Blue Wind are required to ensure strict management of this personal information, and will be monitored by Blue Wind in the necessary and appropriate ways.